ETC Is Now SCQF Accredited!!! Posted April 18, 2017 by ETC & filed under Module 1, Module 2, Module 3, Module 4, Module 5, Module 6, Module 7, Module 8, Modules, News, Scottish Sports Futures, Uncategorized. ETC – A look back at 2016! 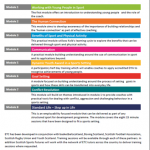 Posted January 6, 2017 by ETC & filed under Module 1, Module 2, Module 3, Module 4, Module 5, Module 6, Module 7, Module 8, Modules, News, Resources, Scottish Sports Futures, Sponsors, Training, Uncategorized. Posted August 31, 2016 by ETC & filed under Uncategorized.